NEW YEAR. 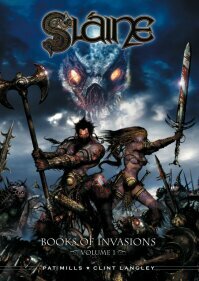 NEW ZARJAZ GRAPHIC NOVELS! 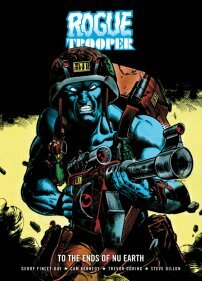 The Traitor General now firmly in his sights Genetic Infantryman Rogue Trooper traverses the hostile war-torn planet Nu Earth on a mission of revenge! In his path are genetically engineered Nort troops, double-crossing Souther captains, fields of blood-sucking mutant sugar cane and the chilling horrors of far-future war. With the bio-chipped souls of his dead comrades as his constant companions Rogue seeks an explosive resolution to the injustices that have torn his world apart. 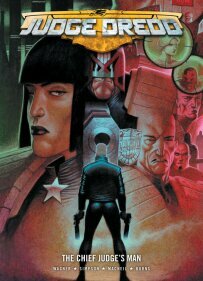 Mega-City One politicians are calling for an end to summary justice only to be silenced by a new and deadly force. However, this is no renegade: this is The Justice Killer, a deadly puppet whose strings lead back to the very heart of the Grand Hall of Justice itself! Sláine, once the first High King of Ireland, must protect his tribe against a tide of Sea Devils. Leading the demons is Moloch a hideous Formorian lord, bristling with swords and driven by a perverse hunger for human suffering!